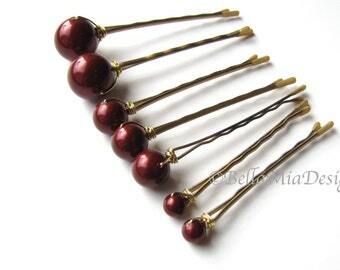 Our popular bridal pearl hair pins, now available in a larger size all by itself. 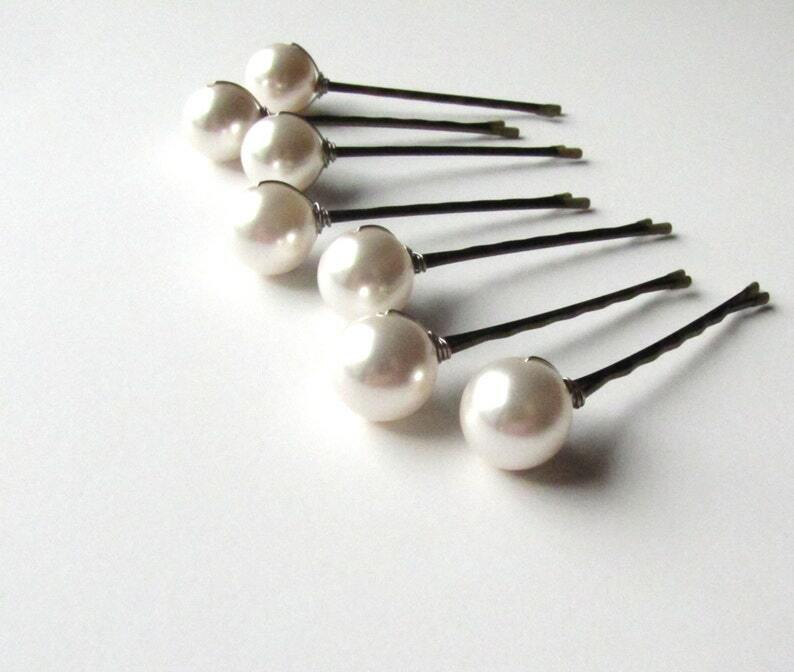 Bold yet classic, these white 14mm Swarovski crystal pearls are a soft white, not stark, and make a beautiful statement in your hair. 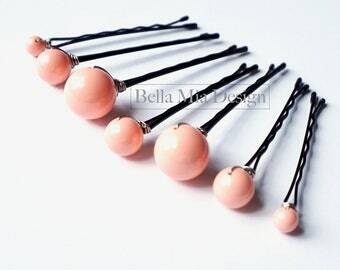 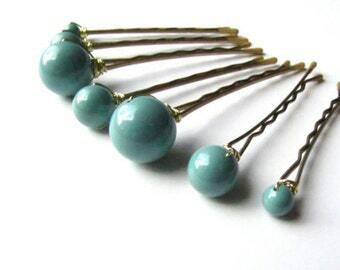 You can select the number of hair pins during checkout, as well as your bobby pin and wire colors.